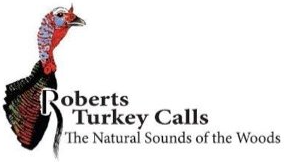 Roberts call! 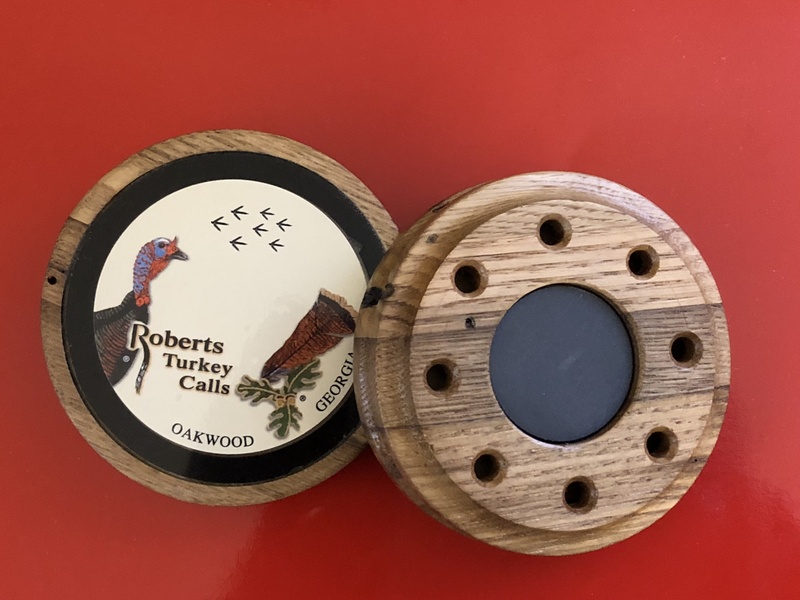 Handcrafted by "third generation cabinet maker and fulltime turkey hunter,"
Roberts Turkey Calls truly produce "the natural sounds of the woods." 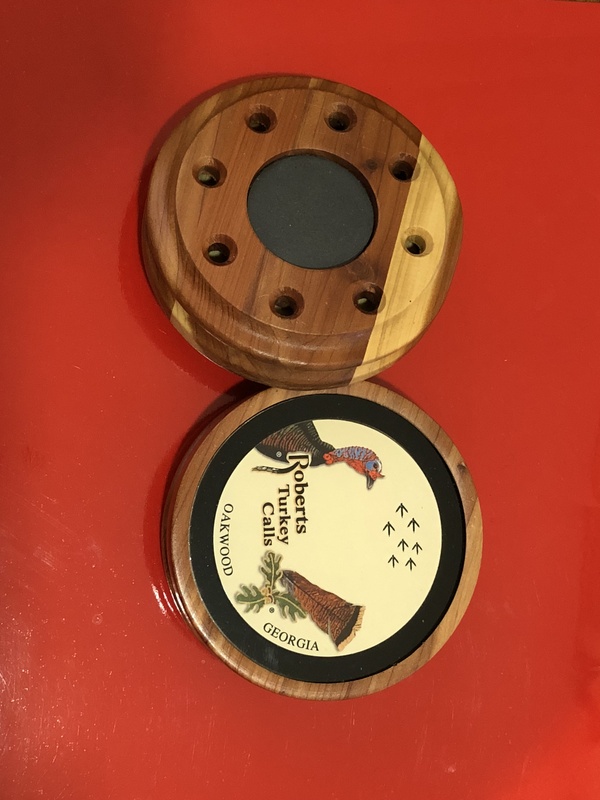 Roberts Turkey Calls are double-sided! 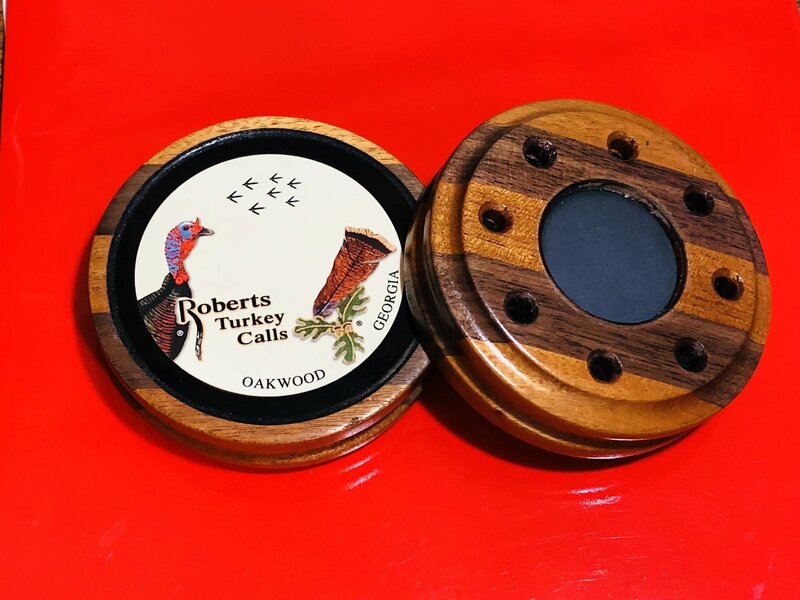 Roberts Turkey Calls are double-sided... glass on the front, slate on the back. 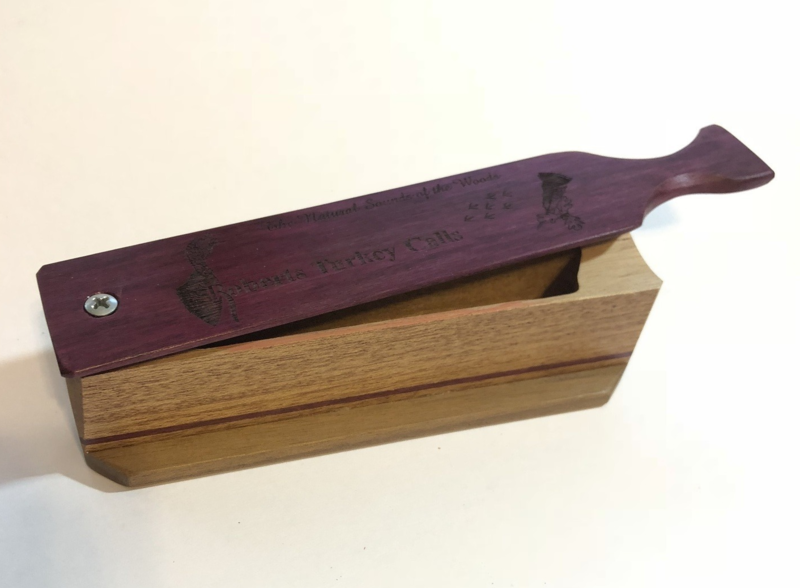 Choose from the high-pitched excitement of glass or the subtle temptation of Pennsylvania slate. 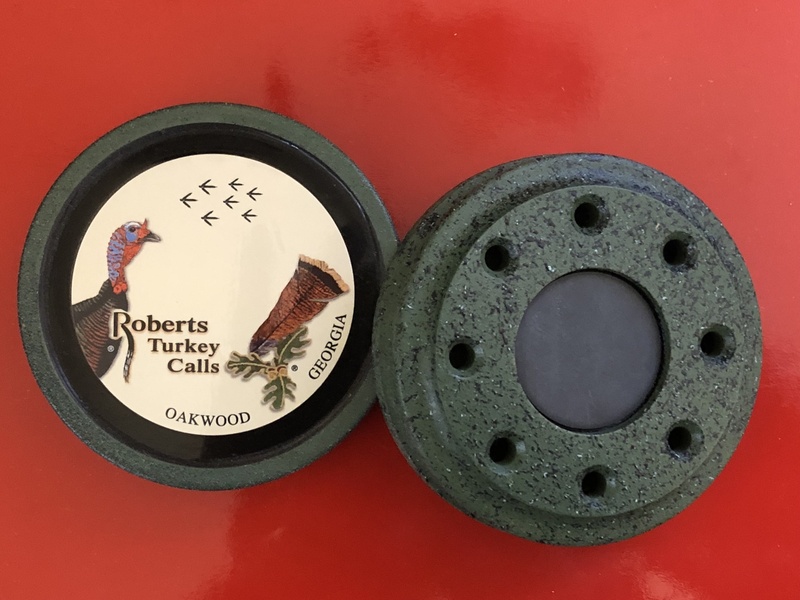 Either way, your Roberts call is sure to drive that old gobbler crazy. 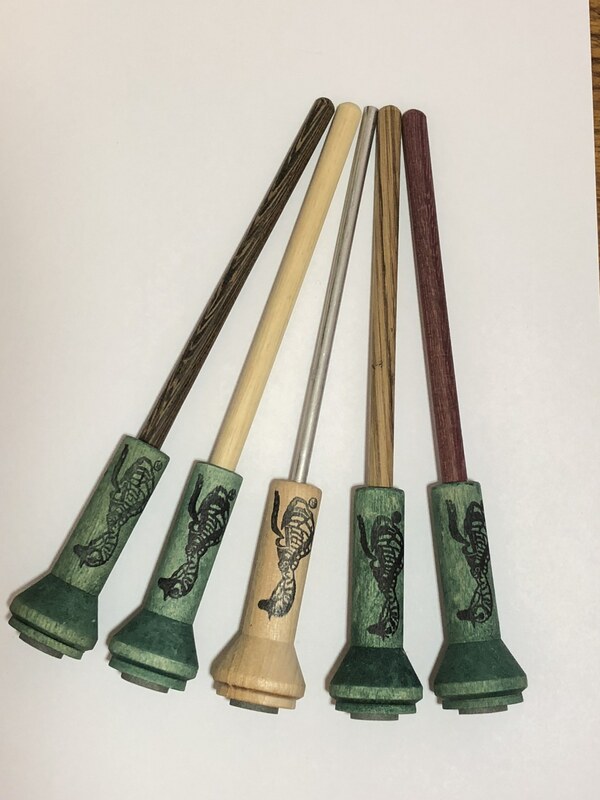 Choose from our Six great models!